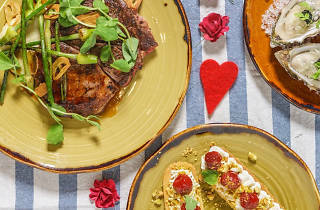 If the typical candlelit V-day dinner at a fancy restaurant isn’t your thing, opt for a meal at PORTA Fine Food & Import Company by the Singapore River. 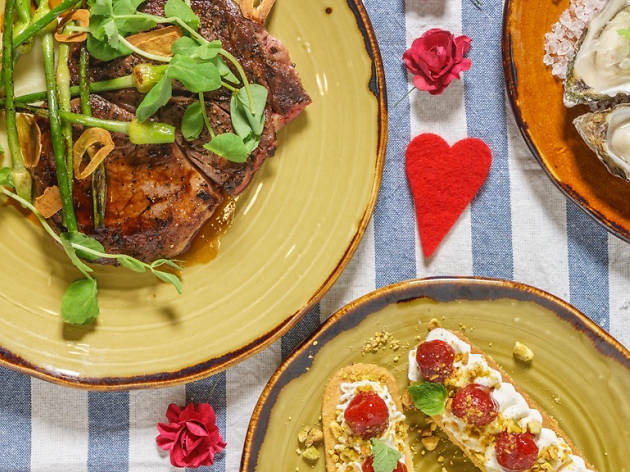 The folks here are sprinkling a little V-day magic for couples by specially concocting a bespoke six-course menu ($68 per person). On a first date? Wash those nerves down with the Prosecco Love Potion welcome drink. Glide smoothly into the meal with oysters and Avruga caviar, followed by Angus rib eye with a luxuriant red wine sauce. Scoot over closer to your partner and enjoy the strawberry compote dessert that's sure to keep the chemistry up.